Your retroactive invitation. Festivity’s over, but the party doesn’t end. October was a big month in my little world. (Ah, but I’m always working to See the Big Picture, and to train my eyes on a World-Embracing Vision. In between laundry loads, basketball practices, and grinding away at That Book.) Just to be annoyingly clear, I’m not referring to the retail assault that was Hallowe’en, that will be BlackFriday/Thanksgiving in the Excited States of America, and which already hounds us to be frenzied consumers so baby Jesus can lay chocolate eggs under the reindeer tree — this, all over the “Christian” world and well beyond it. 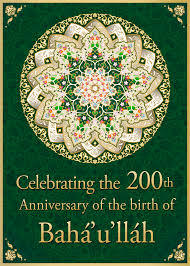 Friends and neighbours, as you know, Diana and I are members of the Baha’i Faith. It’s a worldwide movement dedicated to a few gigantic ideas: that the human race is one family, that we have to start ACTING like it, that there are principles and mechanisms that really can make it all work, and that it WILL work. Hundreds! 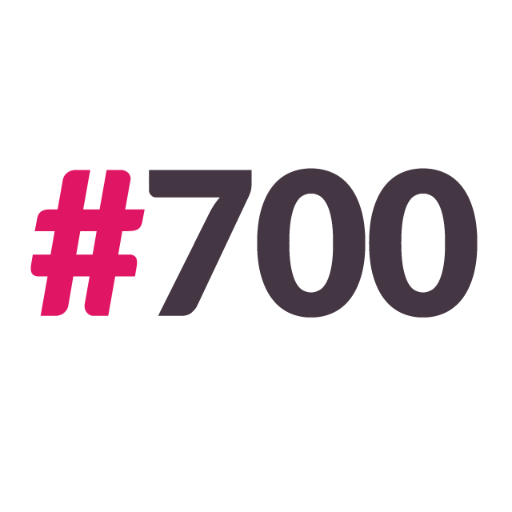 The 700 Club. Double Century Descending. And Other Not Really News. Twitter made this just for me. Thanks, Twitter! The 100. This is a TV show I have never seen, and only know because I follow a guy on Twitter who’s brilliant but weirdly seduced by gobs and gobs of television. What’s more: a hundred? In the folly of my middle age, I feel I want to live to that age, partly because I’m afraid of missing out on grandchildren if I don’t¹, partly because though allegedly a man of faith I’m afraid to croak, and principally because my hero, the basketball coaching legend John Wooden, fell a few months short and I’d like to do something he couldn’t pull off. When he died in 2010, I was a long way from L.A., and my bucket list was one large item lighter. ¹ Well, of course this is a shot at my sons! 200. TWO HUNDRED? Before this blog existed, somewhere around the turn of the century, I hit two hundred pounds for the first time ‘round, and it hit me back. Hard. I found the never-published chronicle of my comical lard-based dismay a couple of years ago, when I was flirting (again! still!) with that flagstaff of fatness, and included it in a 2014 blog-post. My China years of playing basketball, walking everywhere, and reduced access to my preferred vices had gotten me down. Weightwise, that is. Sometime this past year, I cow-tipped my new scales at 200 again, and it ticked me off, so I instantly did nothing about it. HOWEVER! This very morning, friends and strangers and aliens and all my flat-bellied players, my scales said THIS: 199.5 (Pounds, that is.) So: YES!! And ‘BOUT FRIGGIN’ TIME!! And more brave muttering about how this is just the start and I can DO this and old-guy underwear ads, here I come! and so on. And Bruce Springsteen started singing in my head, so that’s good, too, though I think he had a different kind of descent in mind. 300. I refused to see the movie, and I still think it was crap. * he limps off to growl at children* But I was a pretty consistent .300 hitter in my bat-swinging days. *he prepares to launch into “boring stories of / Glory days…* Springsteen’s everywhere today. 400. It has been four centuries since Shakespeare died. So whatcha gonna DO about it? 500. Nothing to say about this number, except that it’s linked to Fortune, which is a fickle and ephemeral thing (and I haven’t made mine yet but this blog post could change all that). “…’Forward, the Light Brigade!’ / Was there a man dismayed? / Not though the soldier knew / Someone had blundered. / Theirs not to make reply, / Theirs not to reason why, / Theirs but to do and die. / Into the valley of Death / Rode the six hundred…” Because poetry.